For IT pros in the UK, investment in cloud and hybrid IT is of the utmost priority. For IT pros in the UK, investment in cloud and hybrid IT is of the utmost priority. 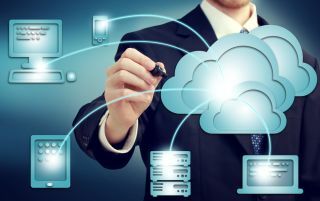 This is according to a new report by SolarWinds, which sys 95 per cent of its respondents suggested cloud and hybrid IT are among the most important technologies for their company’s IT strategy today. This new report, entitled IT Trends Report 2018: The Intersection of Hype and Performance, says things have changed quite significantly compared to just two years ago, when cloud wasn’t such a big priority as it is today. It was also said that AI and machine learning currently isn’t as important to businesses as one might come to expect, but it is cloud computing that is supposed to pave the way for that technology, in the end. “Optimising cloud/hybrid IT environments creates a critical pathway to eventually deploy and capture the compelling benefits of these emerging technologies,” SolarWinds says. The problem with cloud and hybrid IT technologies is that they aren’t fully optimised for performance. Almost half (42 per cent) or respondents are claiming so, saying they spend half or more of their time just reactively maintaining and troubleshooting. The salt onto the wound comes in the form of ‘inadequate organisational strategy’, and training, which are being seen as common barriers to system optimisation, by 43 and 42 per cent of respondents, respectively. “This is how most IT professionals currently are optimising their environments to help unlock additional performance for their organisations,” he added.